New El Nino predictions are showing a stronger system than previously predicted. Ocean temperature patterns are showing a good chance for El Nino but it seemed that way last year, too, said Dan Rudnick from Scripps Institution of Oceanography. According to the National Weather Service’s Climate Prediction Center, a combination of things like air and ocean temperatures, the lack of rainfall and the odd summer rainfall are part of what they study to determine an El Nino year. Their latest report adds the weather patterns for July and they say it shows a greater chance of an El Nino. But, if it is an El Nino this winter, that doesn’t mean we’ll see the rainfall like we experienced in 1997 and 1998. New research released Thursday suggests sea surface temperatures along the Pacific coast are running 2 to 5 degrees above normal. El Nino years have produced a range of 4 to 22 inches in San Diego. However, only strong El Nino conditions will bring above normal precipitation for southern California. 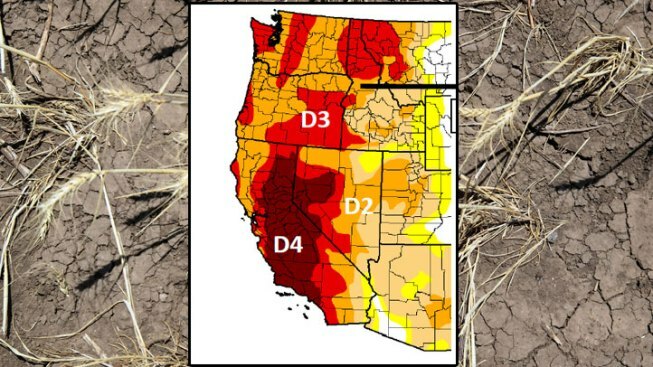 With the state missing 1.5 to 2.5 seasons of precipitation, our region would would need 24 to 45 inches to be “normal” by this time next year, researchers say.